There is a place that you would think only existed in photographers dreams. 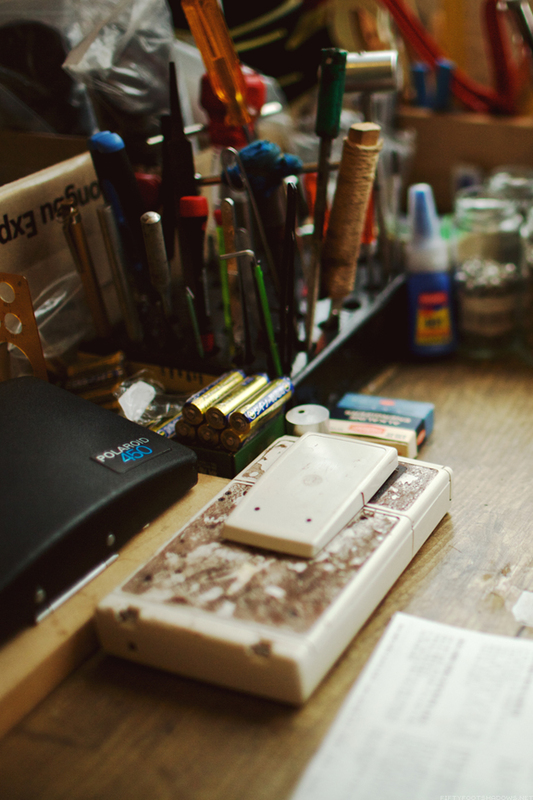 A place full of more tiny, amazing little camera shops than you could imagine. Some specialize in certain things like film developing, lighting, repairs, or film cameras but many have a bit of everything. Window displays are full of what seems like hundreds of cameras and lenses new and old and one could feel satisfied from window shopping alone. Locals are spoiled by it’s resources but for someone only there for a short time such as myself it feels like heaven for my photography geek side. 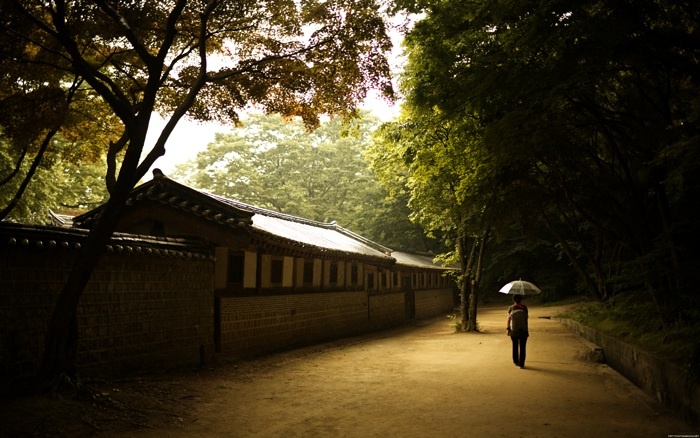 This area is the Cungmuro district in Seoul, South Korea. This neighborhood is one of two in the city with a treasure trove of photography shops. The other area, Namdaemun, is fantastic as well but is more focused on newer digital cameras and not as quaint and fun to visit. Chungmuro is also a hub for printing and film industries in Seoul, the photography stores are all nestled into a couple of blocks within the area. At any rate, on the second floor of one of the buildings in this area there is an amazing toy camera store called simply Toy Camera and it’s one of my favorite shops to visit because Of it’s relaxed atmosphere and always growing supply of film, cameras, and accessories. 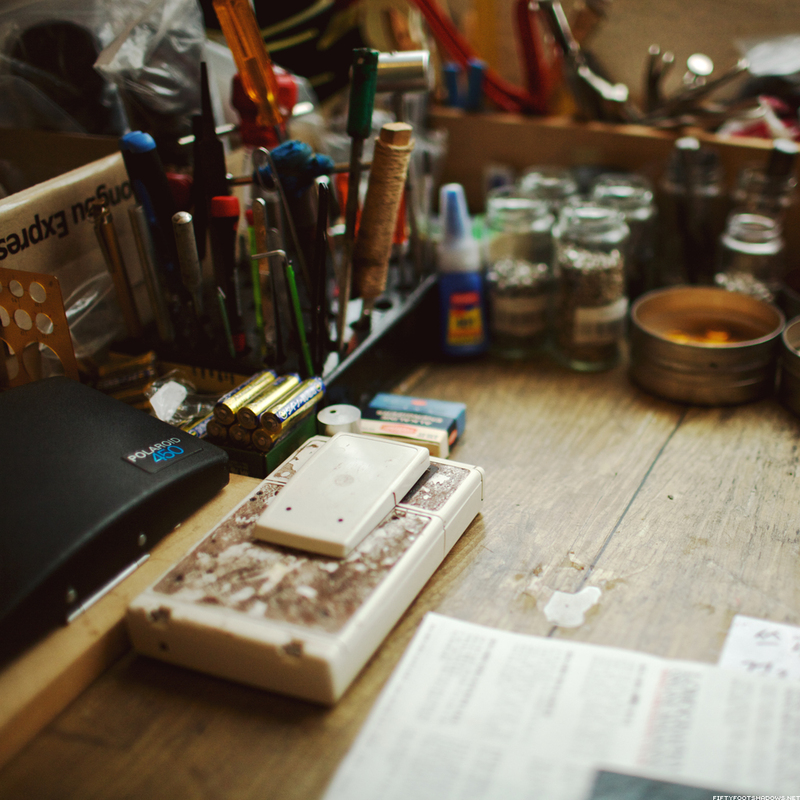 They also have a small repair shop where, among other things, they repair and refurbish old Polaroid cameras like the SX-70 and Land Camera Polaroids (and seem tightly affiliated with the Impossible Project Polaroid film group). 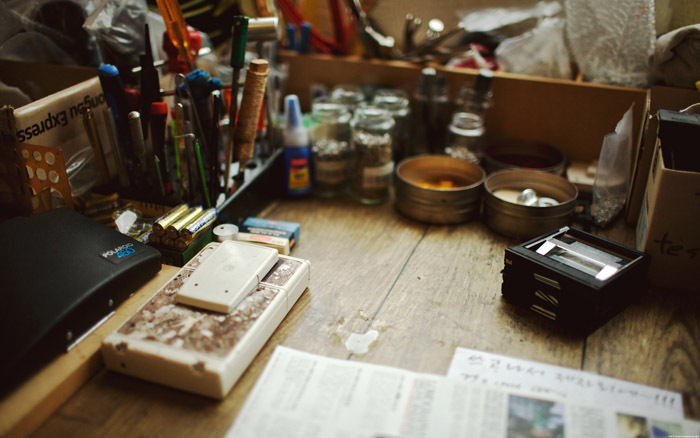 Which leads me to the subject of the photo above, the work space found inside the shop space at Toy Camera. A beautifully lit home for repair work. Some of you may recognize this space from a photo I shared over on flickr of the same space taken with my Hasselblad. I thought the image here shot with my 5D would make for a great desktop for any photo geeks out there like myself. 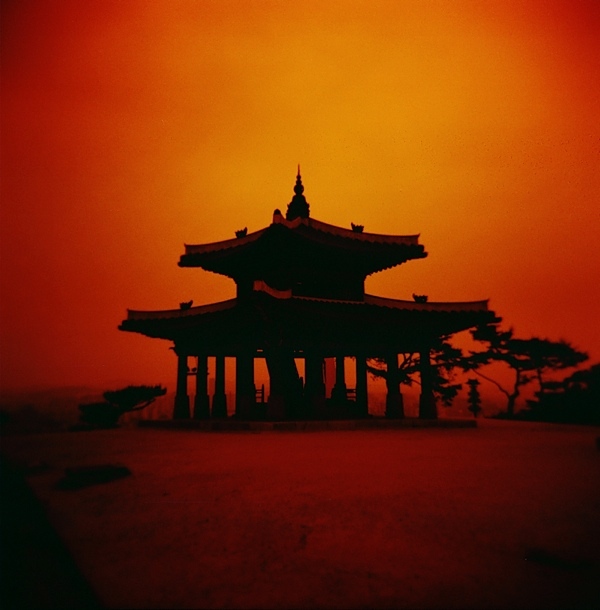 While in Seoul I found a decent price for a 3 pack of the Lomography redscale film and figured why not give it a go. Tossed it into the Holga and shot through the roll only later to discover it’s helpful to over expose the film a good amount in order to see better results. Guess I just wasn’t really thinking, pretty unlike me to jump into something without a fair amount of research beforehand. From what I understand, redscale film is nothing too fancy, just normal color film only it has been spooled into the canister upside down so you are shooting through the base to the emulsion which results in strange color reactions. 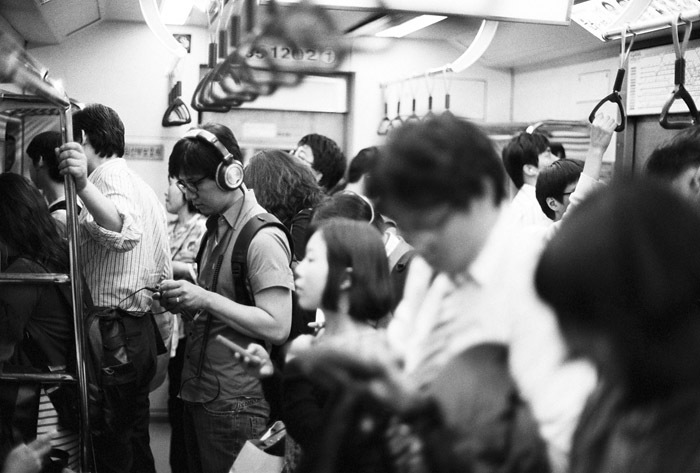 This shot was pretty much the only usable one from the roll due to everything being greatly underexposed. I suppose I will give it another go, maybe shooting through the hasselblad for more exposure control. While it was fun to try I am pretty sure I wont be using it again once I run out, a touch too gimmicky for my taste. …to elaborate on my comment about it being gimmicky. I was thinking about it and realized its not particularly the gimmick that I find fault with, it’s more my personal approach to photography not having a place for this kind of image. I’m just not sure where it fits in with my other work. Like the X-Pro and double exposure ideas I have toyed with in the past the results can be fun but I never know quite what to do with them. I have worked internally for quite some time looking for common themes and ideas within what I shoot and alternative processing never really seems to fit in with my end goals. Point being, I love this shot and have fun experimenting but its satisfaction feels very singular, like an island in that it feels isolated and disconnected from the rest of my work. Or then again, as YoungDoo mentioned to me, maybe its not simply a singular statement but the beginning of a new process I have yet to fully consider. We shall see. While it is often convenient just tossing an extra roll of film into your bag while out and about there are times when having a few rolls around is not a bad idea. For me, I tend to over prepare when it comes to my day to day supplies for photography. You will often find me with no less than two of my cameras on me not including my iPhone which to me is more like half a camera, cute and fun but nothing that I would want to use for any honest captures. As many of you know I am a bit of a film nut and so along with these cameras I am keen on carrying a few rolls around with me because I move around a lot and really never quite know where I may end up or for how long so I like to be prepared. 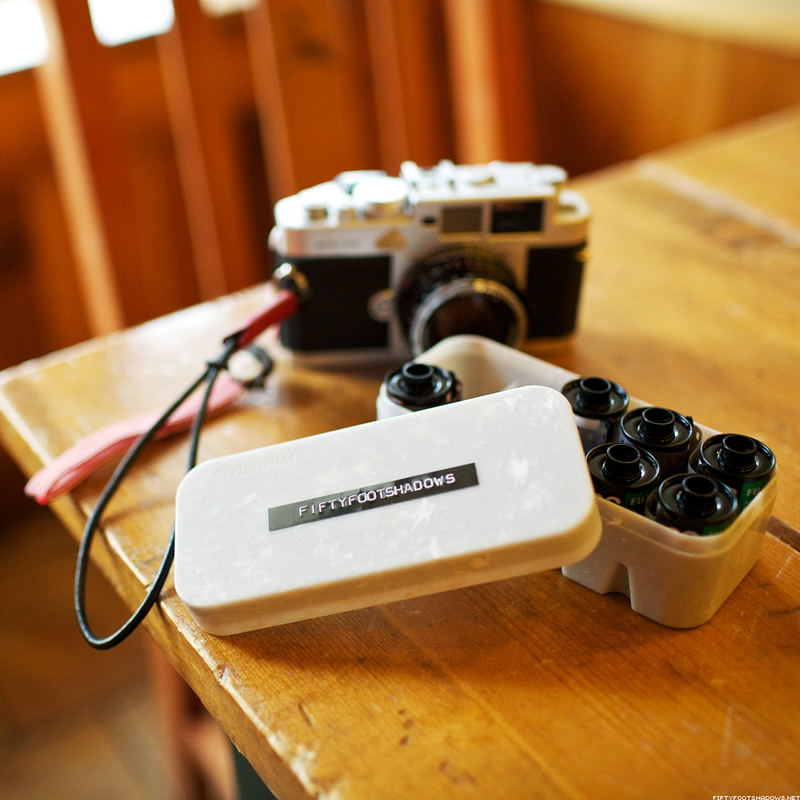 This is where having a good place to carry and store film on the go is nice, keeps things tidy and organized. I spent a long time digging around online for products that were designed to transport film but it would seem due to the increasing niche like nature of such a product it is increasingly hard to get your hands on something nice without a fair amount of digging. The first case that I tried was a Pelican, it was handy and they did have one size that worked for my needs after cutting out the rubber interior but for a small case it added way to much bulk to what I needed around and I wasn’t planning on needing something water tight enough to survive a natural disaster so I continued to look for something more simplified. 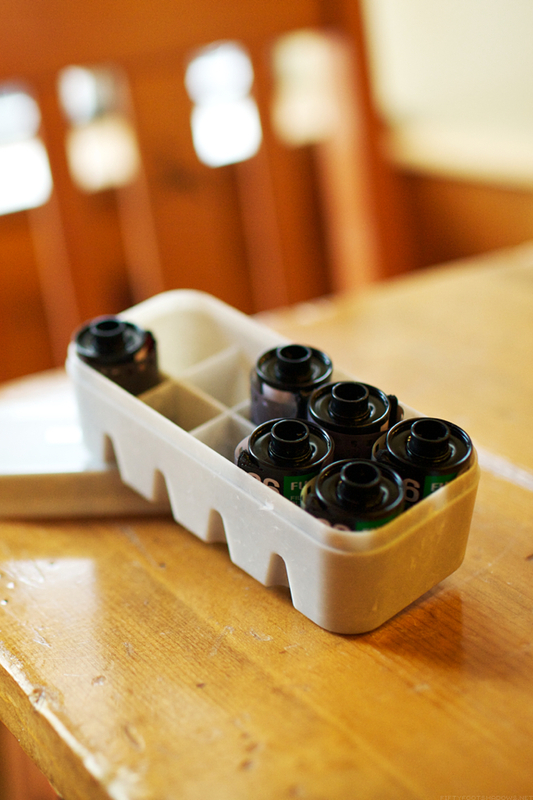 This lead me to discover a simple carrying case that was intended to carry six rolls of 35mm film without the film’s original plastic tube container and they were super cheap so I ordered four of them to test out. While they did the job I was left unsatisfied because the only way they held the film securely was if the case was totally full of six rolls of film. Take one out and the rest just slide about freely inside the case. 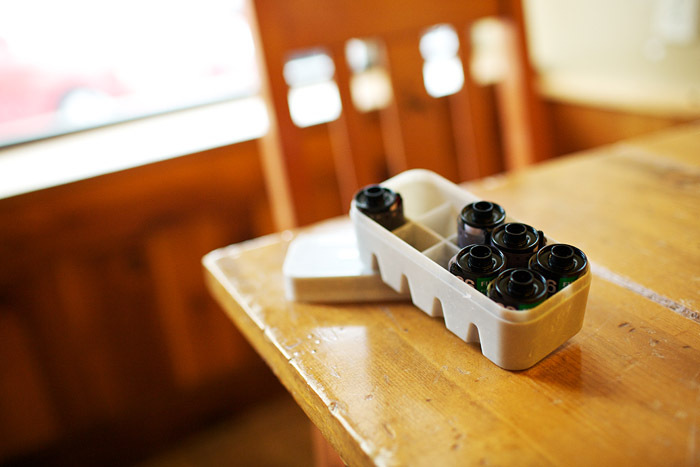 I actually ended up using these for my 120 Medium Format films and they are able to hold four rolls of 120 each which ended up being just right for my needs. While not perfect it does the job just fine for 120 transport. So then I came across the case pictured above and below, a perfect fit. 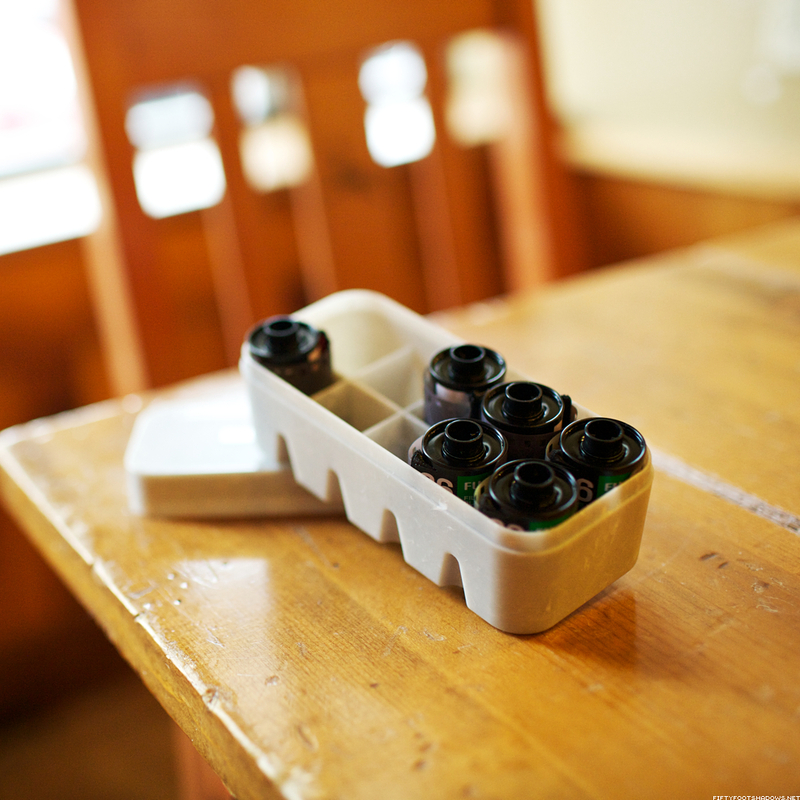 With its ice cube tray like design it allows the film to sit in the case securely and makes for easy organization. While I may not go scuba diving with this in tow, the plastic shell seems to provide a fair amount of protection from the elements which is nice to have at times. Its hard plastic feels durable and when its all closed up its a solid brick of protection. 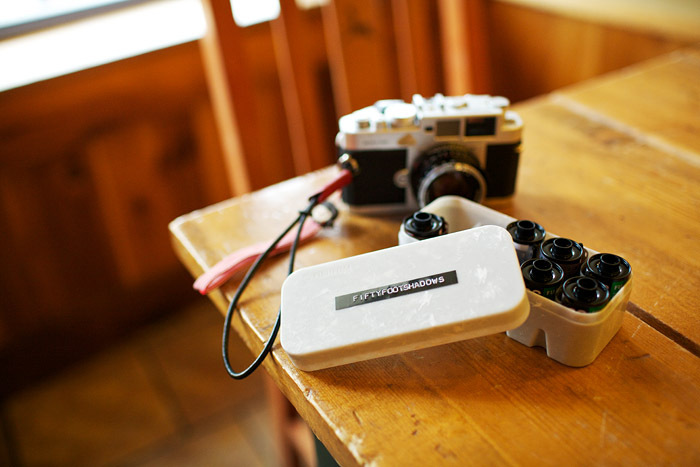 I could easily recommend this to anyone else who travels with 35mm film often. Sure wish they still made a version of this for 120 film but apparently that has been out of production far to long for me to track down any for sale. 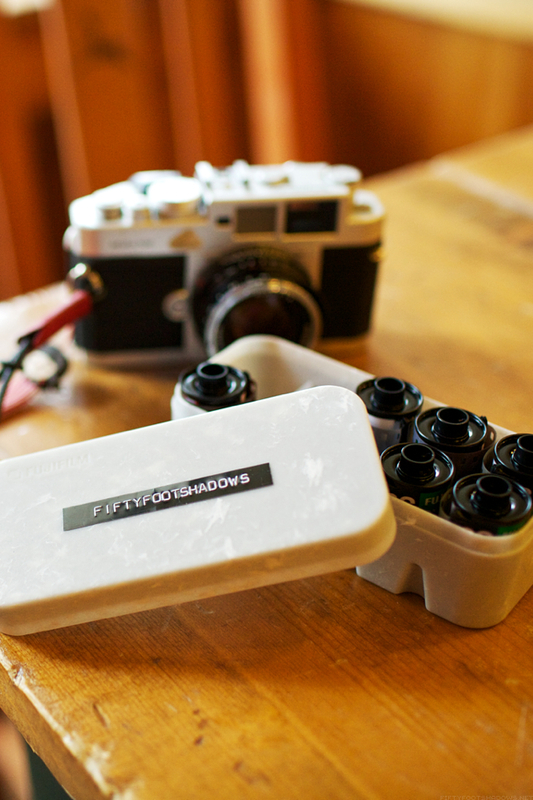 In all of my searching these appear to only be available in Japan as they are manufactured by FujiFilm and lucky for us there is one tiny photography web shop based in Japan that carries these wonderful cases. From what I gather they either get them straight from FujiFilm when you order them or from a shop somewhere locally as the shipping will take a while but for me it was well worth the wait. You can find the shop here, which also sells a number of other great things including cameras and film. First off, thanks for the patience while I was traveling. I ended up using every minute of my time there to its fullest and was not left with much time to spend editing photos to share or writing. I will be sharing photos slowly over the next few weeks here and on flickr so rest your weary, wallpaper starved souls, new imagery is on its way. I thought it would be good to start of strong with the image above, one that I did not think much of when I first saw it after shooting because it was made in a rush while it was raining, umbrella awkwardly tucked between my neck and my chin to avoid getting myself and cameras too wet. Much of the contrast was added in as it was actually over exposed as you can see by the nearly blown out highlights there on the roof. This lead to some frustrating sharpness woes as well as a hint of chromatic abrasion which I was ﻿thankfully able to remove a bit of later. Technical problems aside, it was a perfect scenario to shoot. 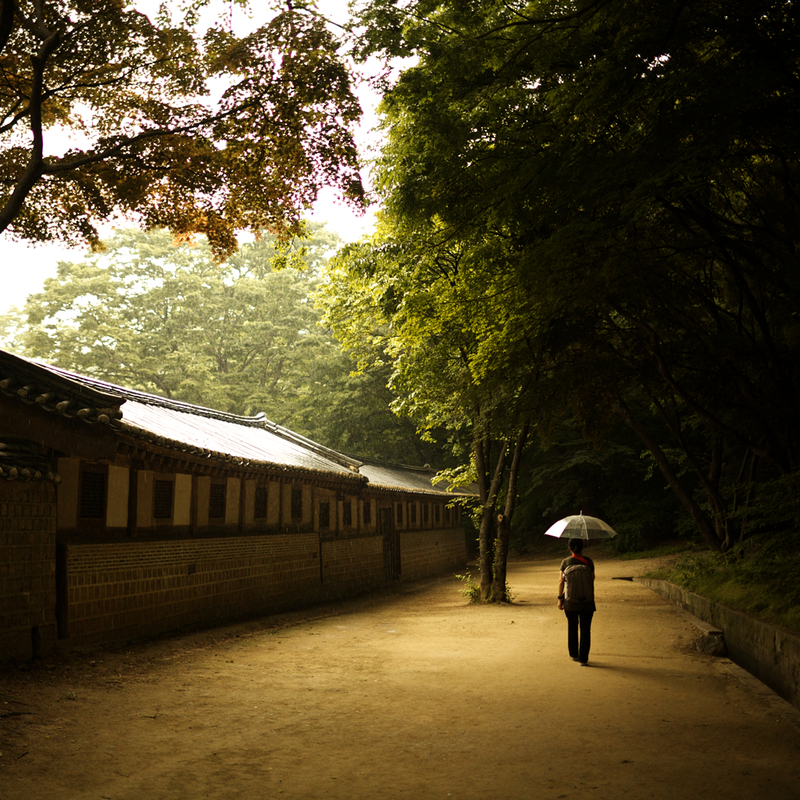 YoungDoo and I both noticed the shot at the same moment as someone was walking through this path ahead of us umbrella in hand and light gently pouring in from the side. My initial shot was taken with my Voigtlander on black and white film but YoungDoo was kind enough to offer herself as the model and walked ahead so I could try to recreate the moment we stumbled into. Once you see it larger as you will notice the rain drops falling from the sky. While the rain got us a bit soggy it did come with a perk, nearly all of the other visitors cleared out of the palace leaving it nearly completely to us without the noisy tour groups to deal with. 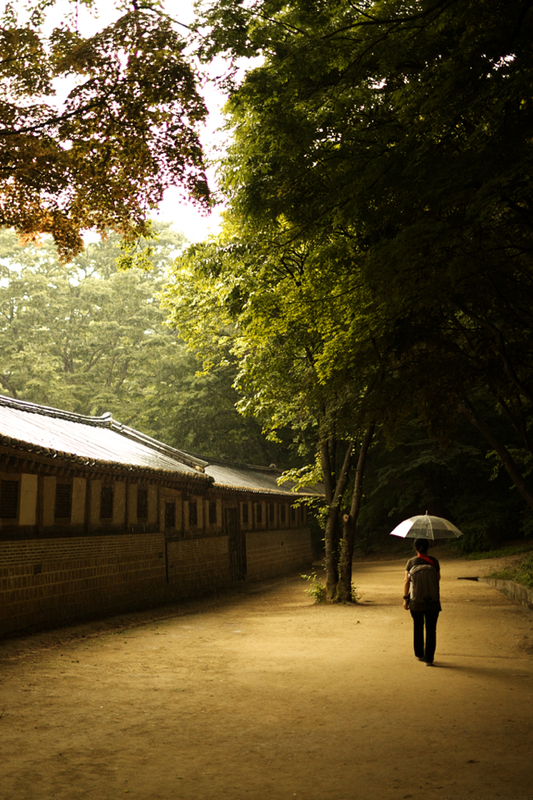 It was in a beautiful area inside Changdeok Palace called the Secret Garden. The photo proved inexplicably popular over on Flickr, mostly due to it hitting the explore pages I suppose but still, surprised me, so I hope every one enjoys it here as well. Its good to be back to posting again. Its going to be a great summer around here so stick around to see whats yet to come. It certainly has been a while has it not? I arrived in Seoul and hit the ground running it seems. While there are only a few short days left here in this wonderful country I am left wishing I had more time but life moves forward with or without us so its time to press on, get back home and start working toward the future. I won’t get into details here in this post, I simply wanted to post a quick update to reassure everyone that I am alive and well and doing great. Outside of fighting off a cold last week things have been great during my time here. There were a lot of moments where I wanted to jump online and share with everyone here but I simply couldn’t find the time to devote to editing photos and writing outside of taking notes for future posts and I am sorry for keeping things silent around here for so long but I promise to make up for it on my return. I have plenty of photos to share and will start to do so on my return this coming week. My flight home is on the 15th so expect to see something new the following weekend after I have a chance to settle back in. I hope everyone has been well and I will see you again next week!